Unravel "The Curious Case of Benjamin Button"
Brad Pitt and Cate Blanchett are paired together for the Warner Bros. movie The Curious Case of Benjamin Button. Brad will play the lead character who starts aging backwards with bizarre consequences. "I was born under unusual circumstances." And so begins Warner Bros.' new romantic drama The Curious Case of Benjamin Button starring Brad Pitt and Cate Blanchett. Adapted from the 1920s story by F. Scott Fitzgerald, Benjamin Button tells the story of a man who is born in his eighties and ages backwards: A man, like any of us, who is unable to stop time. We follow his story set in New Orleans from the end of World War I in 1918, into the 21st century, following his journey that is as unusual as any man's life can be. 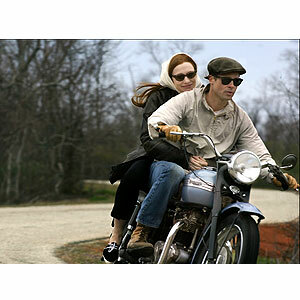 Directed by acclaimed filmmaker David Fincher (Seven, Zodiac) Benjamin Button, is a grand tale of a not so ordinary man and the people and places he discovers along the way, the loves he finds, the joys of life and the sadness of death, and what lasts beyond time. This movie also stars Taraji P. Henson, Tilda Swinton, Jason Flemyng, Elias Koteas and Julia Ormond. The film's screenplay is by Eric Roth (Forrest Gump), while the screen story is by Roth and Robin Swicord (Memoirs of a Geisha). Kathleen Kennedy, Frank Marshall and Ceán Chaffin are the producers. Opening soon across the Philippines, The Curious Case of Benjamin Button is distributed by Warner Bros. Pictures, a Warner Bros. Entertainment Company.